March 3, 2018 Georgia Cool Cruisers and southeastwheelsevents.com held thier March Madness Car Show at Dave & Buster's in Marietta. 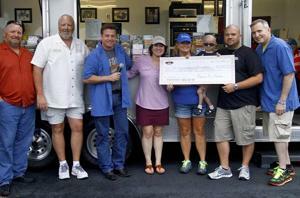 They raised over a $1,000 benefitting the Hot Rodders Children's Charity. We appreciate all that came out and supported the event. Thank you for the donation! Posted by Bill Comments Off on We Have a Winner! Thanks for visiting Hot Rodders Children's Charity, please email us if you have any questions.